“What Are You Doing Here” covers many controversial and thought-provoking topics in the span of 90 minutes. Alcoholism, Abortion, Adultery are all touched on as the two characters relive their past relationships. 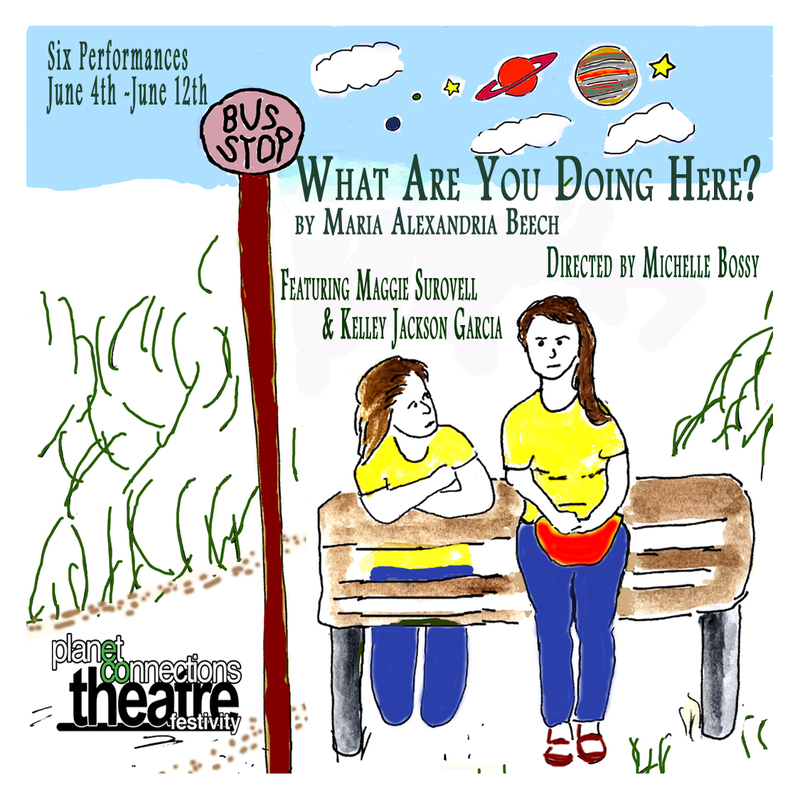 The play begins when “Character” [Maggie Surovell] runs to catch her bus and misses it. While she is in mid performance the “actress” played Kelley Jackson Garcia spots her ex-boyfriend in the audience. From there, the play is a two woman show, “Actress” simultaneously dealing with her former relationship, while we learn about “Character’s” struggles with love. What audiences will love the most is the simplistic and intimate set up of the play. The play is an up-close and personal look at two characters’ lives and the small theater suits it perfectly. The lack of props and actors did the play no harm; in fact, it enhanced the cozy, personal feel. While at times it dragged, it maintains interest until the ending. What makes the play so fascinating is that you see the common bond all women share, whether from the tough streets of New York City or a small town in Louisiana. It shows that women are more than just one thing. “Character” on the surface is your stereotype of a small town girl, polite and respectful. Her past though, tells a different story and makes you see her in a different light. “Actress” is a New York woman who seems as if she has it all together, but as she thinks about her failed relationship you see a more vulnerable side you didn’t expect. Both actresses give honest and convincing performances. Surovell’s portrayal of the southern belle is the more complex and fascinating of the two. She comes off as the sweetie, but as we learn more about her, there’s more than meets the eye. She goes into her past and we see that she has struggled with issues that give her character many complex layers. Through these two stellar performances, the play is highly enjoyable and most importantly relate-able. It’s all about emotions and relationships, so whether you’re currently in love or trying to get past a failed relationship, it has something you can enjoy. The two actresses are what make this worthy of watching. They’re near flawless and as close to perfect choices for their roles as possible. Surovell and Garcia are a dream team and two sides of the same coin and put their all into their roles.